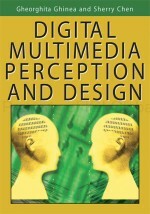 In this chapter, we describe the results of empirical studies which examined the effect of cognitive style on the perceived quality of distributed multimedia. We use two dimensions of Cognitive Style Analysis, Field Dependent/Independent and Verbaliser/Visualiser, and the Quality of Perception metric to characterise the human perceptual experience. This is a metric which takes into account multimedia’s infotainment (combined informational and entertainment) nature, and comprises not only a human’s subjective level of enjoyment with regards to multimedia content quality, but also his/her ability to analyse, synthesise and assimilate the informational content of such presentations. Results show that multimedia content and dynamism are strong factors influencing perceptual quality.